Posted on April 13, 2011 by Robert Brust	This entry was posted in Editorial and tagged Maintenance, Park Gardens, Rec and Park Department. Bookmark the permalink. The new Rec and Park project, the apprenticeship gardenner program. 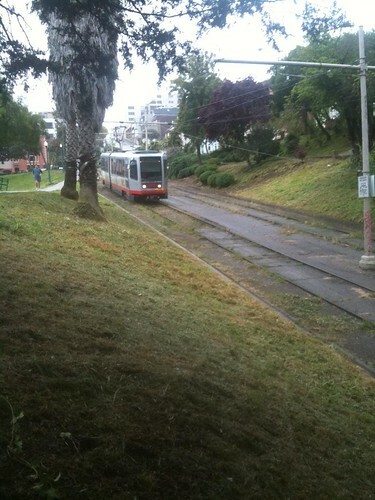 has been in Dolores most of the week. The wilds next to the J Church train tracks haven’t looked this neat in years. Good job guys. Trim up the trees next?